Some real-life scandals can be stranger than fiction, no more so than the attack on figure skating champ and Olympic teammate of Tonya Harding, Nancy Kerrigan, in 1994. The new film by director Craig Gillespie, I, Tonya, shines a light on the outsider ice skating competitor (played by Margot Robbie), her chain-smoking waitress mother (Allison Janney) and her ex-husband (Sebastian Stan) that hired someone to attack her rival at the U.S. Figure Skating Championships. 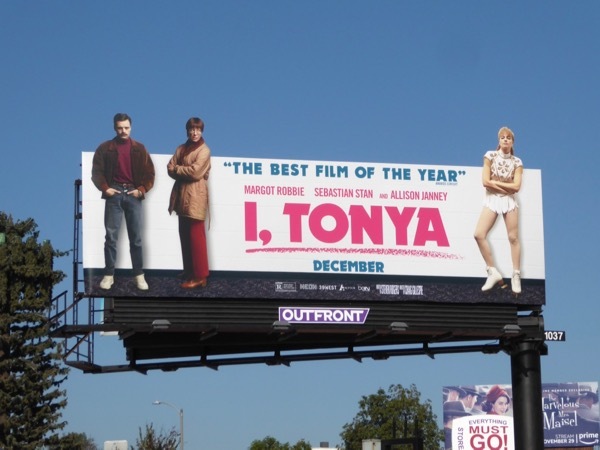 These I, Tonya special extension cut-out billboards were snapped striking a pose along La Brea Avenue and Melrose Avenue from December 1 to December 6, 2017. In addition you can also get a closer look at Margot Robbie's Tonya Harding figure skating movie costume on display. 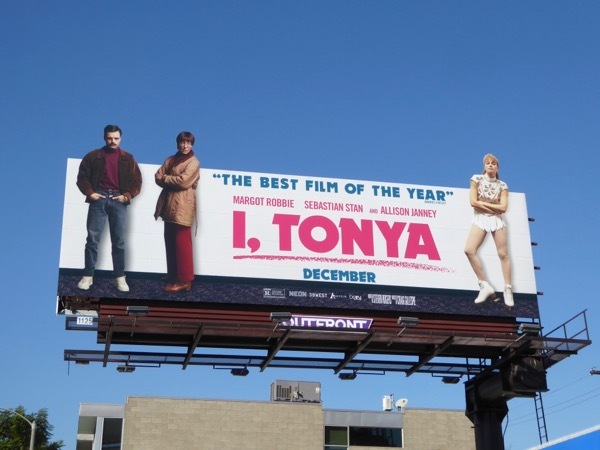 Tonya Harding may never have won an Olympic skating medal, but let's wait and see if this biopic of her life can take the prize this awards season.